Dr. Walsh is an Anesthesiologist with Metro Anesthesia and Pain Services, P.C. She graduated from the University of South Alabama in 2001. 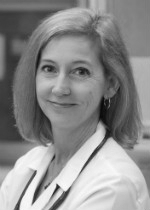 After completing her residency at UAB in 2005, Dr. Walsh did a Pain Medicine Fellowship at Emory University. She is board certified in Anesthesiology as well as Pain Management and has been a member of the Medical Society since 2010. Dr. Flotte is a Neurological Surgeon with Coastal Neurological Institute, P.C. He has a sub-specialty in Trigeminal Neuralgia. Dr. Flotte graduated from the University of Alabama in 1998. He did a fellowship in Neuro-Oncology at the University of Washington in 2002. Dr. Flotte is board certified in Neurological Surgery and has been a Medical Society member since 2005. Dr. Koulianos is an OB-Gyn physician with the Center for Reproductive Medicine. He is a 1985 graduate of the University of Texas. He completed a fellowship in Reproductive Endocrinology and Infertility at Tulane in 1991 before moving to Mobile. Dr. Koulianos is board certified in Obstetrics & Gynecology and joined the Medical Society in 1991. Dr. Ford-Johnson is a Pediatrician with IMC Pediatric & Adolescent Medicine, P.C. 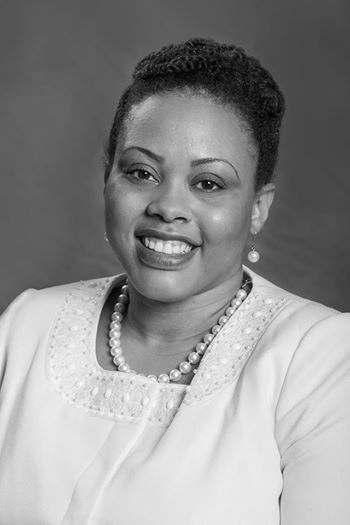 Dr. Ford-Johnson graduated from the Meharry Medical College in 2008. She completed her residency at Baylor University in 2011. She has been a Medical Society member since 2011. Dr. Koch is a retired OB-GYN physician. He practiced medicine at Mobile Ob-Gyn, P.C. He is a 1973 graduate of the University of Alabama. He completed his residency at the University of Alabama in 1977. Dr. Koch is board certified in Obstetrics & Gynecology and has been a Medical Society member since 1977. Dr. Batten’s specialty is Pediatric Cardiology. She is received her Medical degree from the University of South Alabama and completed her residency at University of South Alabama Children’s’ & Women’s Hospital in Mobile. Dr. Batten continued with a residency at Tulane University Medical Center in New Orleans, LA. Dr. Self is a member of the American Board of Pediatrics (Pediatric Cardiology) and has been a member of the Medical Society of Mobile County since 2000. Dr. Iqbal’s specialty is Internal Medicine. He graduated from University of Punjab/Allama Iqbal Medical College, Pakistanin in 1991 and completed his residency at Cook County Hospital, Chicago IL in 1996. Dr. Iqbal is board certified in Internal Medicine and has been a member of the Medical Society since 1999. Dr. McMahon’s specialty is Emergency Medicine. He graduated from University of Alabama, Birmingham in 1979 and completed his residency at Richland Memorial Hospital – University of South Carolina, Emergency Medicine in 1982. Dr. McMahon is board certified in Emergency Medicine and has been a member of the Medical Society since 1988. Dr. Outlaw is in private practice and specializes in the latest cosmetic and reconstructive plastic surgery of the face, breast, and body. Dr. Outlaw completed his Bachelor of Science and Medical Doctor degree at the University of South Alabama in Mobile, Alabama. He then completed a five year general surgery residency at Louisiana State University and Charity Hospital of Louisiana, New Orleans, followed by a plastic surgery residency at the Medical College of Georgia, Augusta. He is board certified in general surgery as well as plastic surgery. Dr. Outlaw has been a member of the Medical Society since 2000. Dr. Pierce is a retired OB-Gyn physician. He graduated from Louisiana State University in 1968 and completed his residency at Mobile General Hospital in 1972. 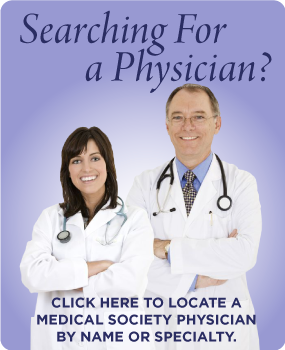 Dr. Pierce has been a member of the Medical Society since 1974. Dr. Self’s specialty is Obstetrics & Gynecology. She received her Bachelor’s of Science Degree in Chemistry as well as her Medical Degree from the University of South Alabama. She then moved to Greenville, South Carolina to complete her residency training at Greenville Memorial Hospital. She is a junior fellow of the American College of Obstetrics and Gynecology and is certified in Fundamentals of Laparoscopic Surgery. Since her residency, she has developed particular interest in high-risk obstetrics and a passion for delivering babies. She is also very interested in minimally invasive surgical techniques for common gynecologic problems such as urinary incontinence, pelvic pain and abnormal bleeding. 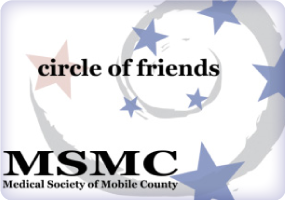 Dr. Self has been a member of the Medical Society of Mobile County since 2010. Dr. Bedsole is a pulmonary specialist with Pulmonary Associates. He attended Medical School at the University of South Alabama. He went on to complete his fellowship in pulmonary disease and critical care medicine at the University of Alabama Birmingham. Dr. Bedsole served as chief fellow at UAB. He is board certified in internal medicine, pulmonary disease, and critical care medicine. He has been a member of the Medical Society since 2007. Dr. Cepeda is a Pediatrician with Children’s Medical Group. Dr. Cepeda graduated from the University of South Alabama in 2003. He completed his residency at St. Barnabus Hospital in New York in 2007. Dr. Cepeda is board certified in Pediatrics and has been a member of the Medical Society since 2008. Dr. Mitchell is an Internist with Diagnostic and Medical Clinic. She is a 1993 graduate of the University of South Alabama where she also completed her residency in 1999. She is board certified in Internal Medicine and joined the Society in 2008. Dr. Richards is the director of the University of South Alabama Surgical Weight Loss Center with special interest in all aspects of bariatric surgery, including laparoscopic adjustable gastric banding, laparoscopic gastric bypass, and laparoscopic sleeve gastrectomy. Dr. Richards also performs esophageal surgery to treat Gastro Esophageal Reflux Disease using the LINX® Reflux Management System. His other interests are in laparoscopic surgery of the gastrointestinal tract, including repair of hiatal hernia, achalasia, esophageal and gastric disorders, treatment of Barrett’s esophagus, and gastric motility disorders. He is a 1979 graduate of the University of Maryland. He went on to complete a fellowship in Portal Hypertension and Endoscopy at Emory University in 1985. Dr. Richards is board certified in surgery and joined the Society in 2010. Dr. Rogers is an OB-Gyn physician with IMC-Obstetrics & Gynecology Assoc., Inc. He is a graduate from the University of Alabama in 1994 where he also completed his residency in 1998. 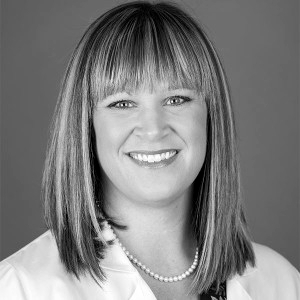 Dr. Rogers is board certified in Obstetrics & Gynecology and joined the Society in 1999.